Organic farmers, those transitioning to organic production, and those who are just curious: a resource is available to answer questions and to help you explore options. 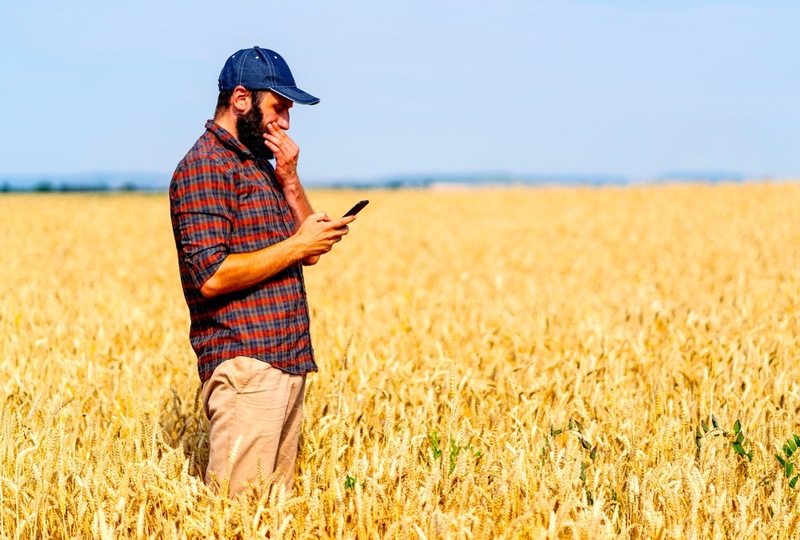 Pivot and Grow’s ‘Ask an Expert’ phone line (1-800-245-8341) offers farmers an opportunity to ask questions about everything from organic certification requirements to green manure options, from how to find local organic farmers to how to control Canada thistle, from designing rotations to finding a certifier. A common theme in these questions so far has been how to transition. The Pivot and Grow website has a number of resources that walk a producer through the requirements, but some people want someone to talk to as well. Q: If I start now, how long would it take before I can grow an organic crop? A: The rules in the organic standard state that it must be at least 36 months since last chemical application before harvest of an organic crop. By eliminating any desiccants or post-harvest treatments in the final chemical year, the land can be organic sooner. Likewise, if the land has not been treated for more than 3 years, for instance if it has been in alfalfa, an even quicker path to organics is possible. Q: When should I be inspected? A: When the land has had no prohibited substances for 36 months, it also needs to have been under organic oversight for 15 months before the harvest of the first organic crop. This means having the land inspected in the year before the first organic crop is in the ground, and then again every year of organic production. Q: Where do I find a certifier? A: The Pivot and Grow website lists a number of certifiers. All certifiers use the same Canadian standard, but each is different in management, service, price and specific expertise. It may be wise to do some comparison-shopping. Q: Where do I find buyers? A: Best practice is probably to contact the people you wish to buy your product, in advance of deciding what products to grow. Begin doing research into who buys what, what specs do they have, what are their prices. Producer meetings are wonderful for the material they present, but especially for the opportunity to meet with organic producers and find out what they’re doing and who they trust. Check out the Business to Business Directory. Once there, click Find a Business, then select “Certifier” in the drop-down menu to find a list of organic certifiers in your area! Q: There are no organic producers in my area. Who do I go to for mentorship? A: Although you may feel all alone in your decision to go organic, there are often organic producers in your general area. Check with your certifier. In fact, having other organic producers in the neighbourhood can often reduce the cost of inspection by splitting the travel costs of the inspectors among the neighbours. Often producers register their land as organic at the RM or MD office, so that aerial sprayers are alerted of its status. This is one place to go to find other organic producers. Regional and provincial meetings can also be valuable. Q: I’m thinking of growing an intercrop next year. What do you recommend? A: It all depends. Producers often come with a specific combination in mind, but nothing written in stone. Some options they suggest include wheat/alfalfa, flax/rye, oat/pea, flax/chickpea. All may work. Important considerations include what the purpose of the intercrop is, for instance as green manure, green feed, or grain crop, whether one crop is more important than the other to the producer, whether they have a market for the intercrop or its separated components, the type of equipment the farm has, and whether they have livestock. Again, resources are available on the Pivot and Grow website. Often the producer wishes to talk over their options with someone who can provide assurances or cautions. Q: What’s the best green manure plowdown for me? A: It all depends. Producers may be looking to add nitrogen, to cycle phosphorus, to add organic matter, to winter graze, or to meet any combination of needs. For addition of nitrogen, legumes are ideal. Small seeded legumes like alfalfa and sweetclover can be cost effective. Generally the nitrogen input is greatest when the legume crop is largest. Grazing does not appreciably reduce its nitrogen value. Adding a cereal can increase biomass and organic matter longevity. 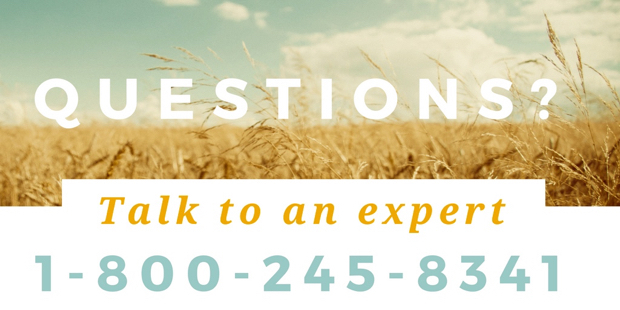 Q: How do I control my Canada thistle /sowthistle/foxtail barley? A: It all depends. The type of weed, how widespread it is, what tools are available and the goals for the land all make a difference. Tillage may be the best option. Clipping above a low crop, followed by repeated tillage after harvest to deplete root reserves can be effective. Crops like alfalfa that are mowed before weeds go to seed, and that regrow quickly offering strong competition, can also be effective. Grazing can also be effective. For foxtail barley, grazing must only be done before the grass has gone to seed. Sometimes the questions that producers bring to the ‘ask an expert’ line are as simple providing information, websites, and appropriate people to talk to. Most often the planning questions are complex, and depend on many different factors, including the ever-unpredictable future weather. Often it is helpful to have an interested and informed ear to listen to the planning process, to affirm that the plan makes sense or to point to red flags, problems to watch for. Either way, the service exists to meet the producer where she or he is and help to find solutions to organic questions.